This is the easiest homemade liqueur recipe you’ll ever try. All you need are a few simple ingredients and a quick mix! This homemade Baileys Irish cream recipe is a fantastic alternative to the store-bought counterpart. It takes only 1 min to make and very simple ingredients you almost surely have in your pantry already. Plus there’s more whisky than average branded bottles, and that’s a pretty good point. 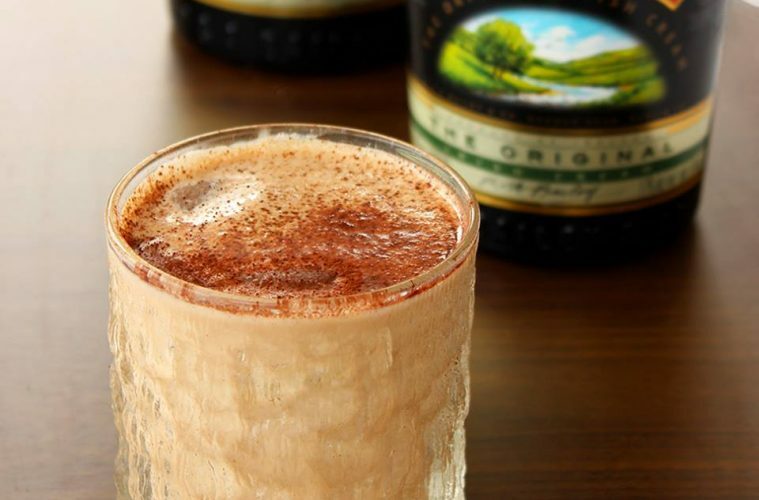 This Homemade Baileys Irish cream will warm your heart up during the cold season, but it’s just as good for summer paired with iced coffee, just serve it chilled with plenty of ice. I also like a drop or two in my espresso. So delicious! Combine all ingredients in a blender and mix on high speed for 30 seconds. Transfer mixture to a glass bottle with a tight-fitting lid and store in the refrigerator for up to 2 months. Shake well before using and enjoy! Can I cheat and have one now? Or do you think Santa will mind? Because this looks mighty-mighty fine! Ahaha be my guest! Christmas season starts just after Halloween right? Cause I’ve already started drinking it 😀 Oops!